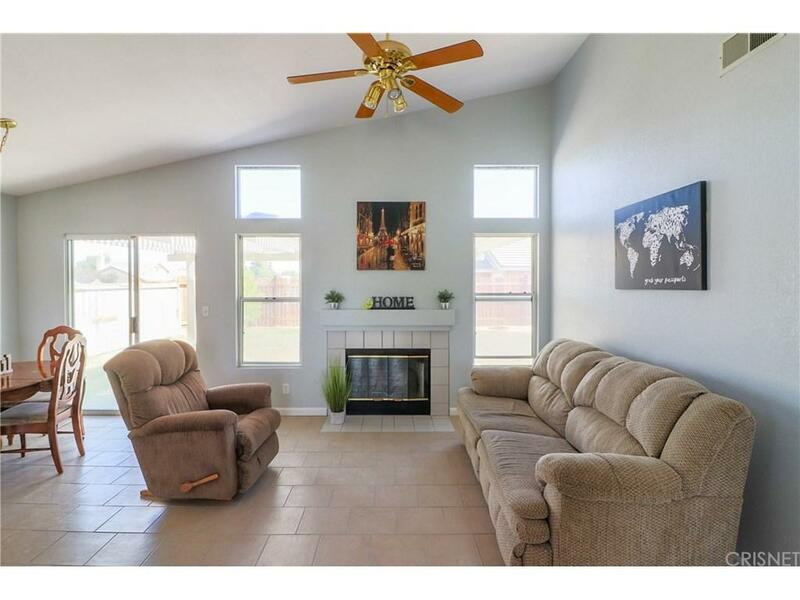 This gorgeous home has fresh paint and brand new tile floors that were both done 1 week ago! This home is located on a corner lot and is walking distance to Westpark Elementary, the Library, stores and more! 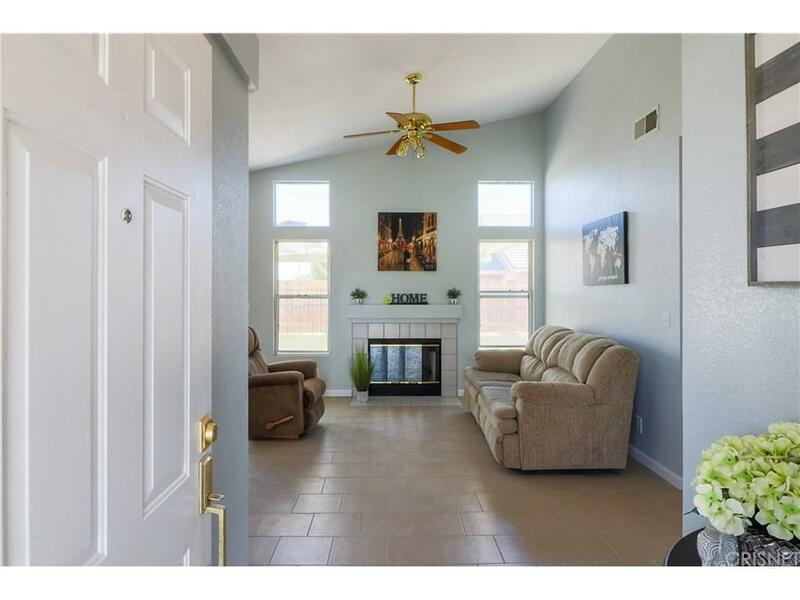 The first thing you'll notice upon entering is the gorgeous fireplace and vaulted ceilings. The kitchen is spacious and overlooks the family room and has plenty of cabinet and counter space cook. The master has an ensuite bathroom with his and her closets! 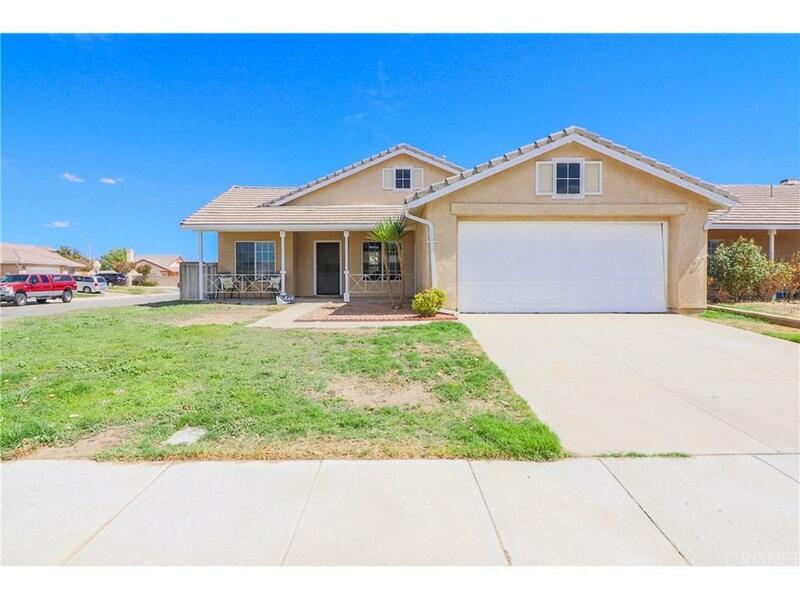 This home has an unusually large backyard for Rosamond and is large enough to put in a pool or spa. In both the back and front there are covered patios, making it a perfect home for entertaining! 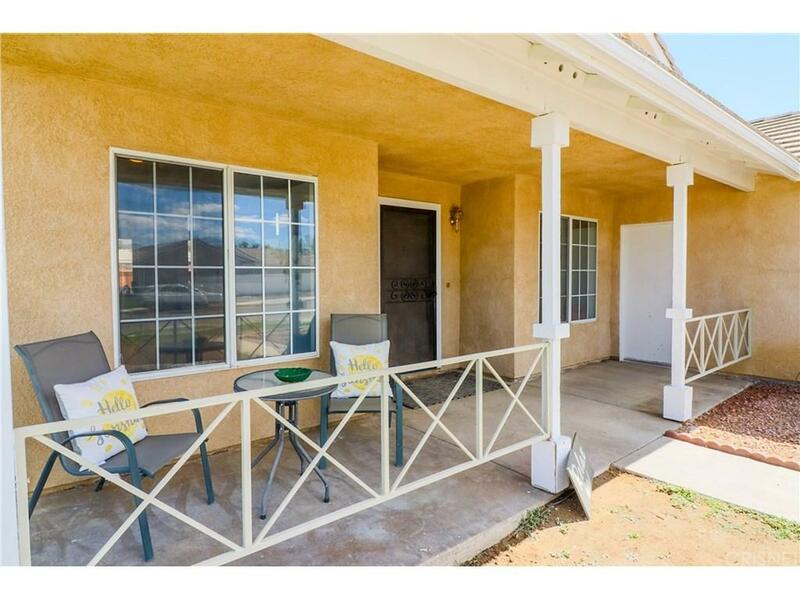 Sold by Christopher Kerrico BRE#02044777 of Re/Max All-Pro. Listing provided courtesy of Jessica Dixon DRE#02044777 of Keller Williams Realty Antelop.